Coat: Topshop. Swing Dress: Missguided. Horse necklace: ASOS. Mules: New Look. 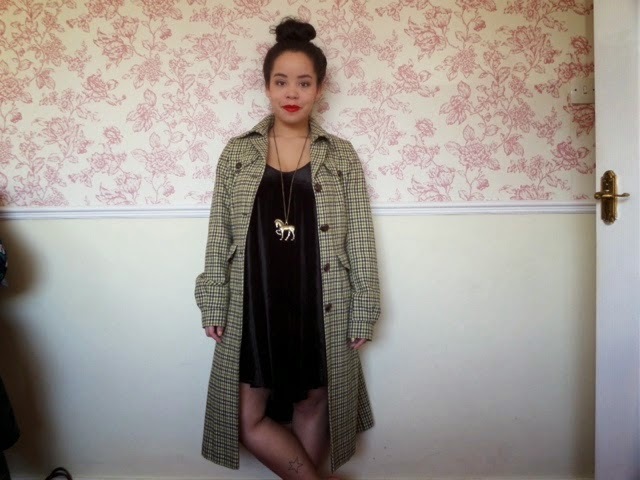 I've been attempting to de-clutter my wardrobe and in doing so, came across this little beaut of a coat. It's a Topshop number that I bought from eBay a while ago and at a steal of a price (you'll get to know that I have a keen eye for bargains!). I decided to shoot this outfit in the garden when I saw the sun peeking out.. Forgetting momentarily that it was winter, hello pale, ever-so slightly blue legs. Didn't take me long to realise that perhaps a pair of trusty black tights and boots, might have to be the order of the day! 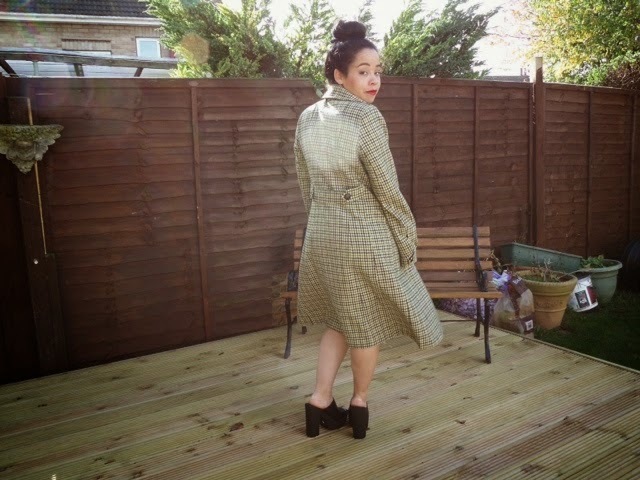 Love love love that coat, you look gorgeous Vanessa!